Astrology is full of archetypes. The prideful Leo, the fast talking and/or flighty Gemini, the brash and bold Aries. If I tell you my best friend is a Taurean do you have an immediate picture of her in your mind? Sturdy and steady, loyal. Security loving. Patient. Maybe a tad bit lazy (although she claims she's only pacing herself), definitely stubborn. How about Capricorn? Disciplined, ambitious, grounded, cool under fire. Self-contained. While these traits probably do apply to the Taurean and Capricorns you know, we are all so much more than our Sun Signs. What if I told you my Taurean friend has a Leo Moon, and that self-contained Capricorn has a Sagittarius Moon? Does that change your perspective of them in any way? In an astrological chart the Moon sign represents our emotional nature. How we instinctively react. How our emotions color our perceptions. How we protect ourselves. That Taurean with the Leo Moon has a bit of regalness about her and her ego can flare when her Moon perceives an emotional threat. Our steady Taurus isn't so steady at that point, not with her ego-flamed temper on display. Not an introvert by any stretch of the imagination, she does enjoy being the center of attention but is happiest bestowing her affections on those she cares about. And that Capricorn Sun with the Sagittarius Moon? He has a great inner need for adventure. To get out in the world. But that strong and instinctive internal need is at odds with his ambitious Capricorn Sun. Sagittarius Moon pushes to leave the paperwork behind, to set off for the next adventure right now, but he's a workaholic and has an issue leaving anything undone. Balancing those two aspects of his personality can sometimes be a daily struggle. If you're a writer, that inner turmoil, that internal push of the Moon's reactive needs against the Sun's desire to act can be a goldmine in terms of character development. And that's only part of the story. 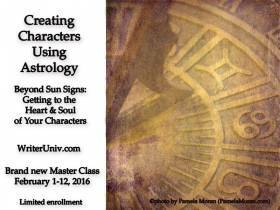 Come join me February 1st over at Writer Univ as we use astrology to dig into the heart and soul of your hero, your heroine, and/or your villain. And, just maybe, find out a little about yourself. Water signs, (Cancer, Scorpio and Pisces) are the most emotional of all the signs. You could say they thrive on emotions, on feelings, and will follow those over logic any day of any week. Any hour of the day. Decisions can be made, not just on their own initial reaction, but on how something feels - internally - to them. They react based on their gut, on a type of intuition that originates inside themselves. Water comprises a large percentage of our make-up, after all, and Water signs are keyed into that. To the ebb and flow of human, emotional tides. All that can make for drama. High drama, at that. Weary, mind-numbing drama. Based on deep-seated emotional reactions. But it can also make for some of the most empathetic, genuinely caring people. The kind of person who feels what you feel. Who truly understands what you've been through and why you feel the way you do. Those are the Water people who need to learn boundaries at a young age, otherwise their sense of self is blurred and they have a hard time differentiating their feelings from those of others. Cancer, the first Water sign, is also a Cardinal sign. Think running creek or river. Emotions in motion. They’re the moodiest of the three water signs, the ones who will emotionally react the fastest, who will see a slight the quickest. Being Cardinal, first is a keyword here. Cancer represents mothering – our first nurturing. Whether by blood or made by choice, family is central to Cancer. If they deem you one of theirs, they will do their best to take care of you, sometimes whether you want to be taken care of or not. They know best, you know. Scorpio, Fixed Water, is like a dark, nearly bottomless, blue lake. Smooth water on the surface, deeper than you realize underneath. Fixed, those emotions run as deep as that lake and can be as mysterious. Dark, seething and at times unfathomable. More than any other sign, Scorp holds on to its secrets, holds on to the past and is a firm believer in the adage ‘Revenge is best served cold’. But they’re also as loyal as any of the other Fixed signs. And with those emotional depths, they have an uncanny ability to understand others’ emotional quandaries, at times better than the person experiencing them. Scorpio needs to be as aware of their own inner emotional makeup as they are of others, otherwise the danger lays in Scorp’s innate ability to twist that knowledge against the other person. Boundaries aren’t one way streets, and Scorpio, a bit more than the other two Water signs, are capable of using that to their own advantage. Pisces, the last of the Water signs is also the last of the Mutable signs, in addition to being the very last sign of the Zodiac. Pisces is like the ocean, with her tides, constantly ebbing and flowing along with all the underwater currents well hidden beneath the surface. Of all the Water signs, Pisces is the most prone to having trouble differentiating between their own emotions and those of another, especially if that other person is important to them. They need boundaries, not only for their own sake, but also for the sake of those around them. Passive-aggressive behavior, mostly as a self-protective device, can become second nature if they’re not careful, if they’re not fully aware of what they’re doing. If fully aware and able to control that boundary, an empathetic Pisces can be a balm to those in emotional distress. The risk is in Pisces taking all that inside and not letting it go. Jake Carrigan, hero of STOLEN SPIRIT, is a poster child for Cancer's Emotions in Motion – some so deep, he doesn't understand what it is he's feeling. With the deaths of his brother and the woman he loved, he's shut himself off and is pretty much hiding, liable to strike out at anyone trying to pull him out of his funk (just ask his sister, Rily, about that!). Now, Hannah's voice is haunting him but how is he supposed to comfort and nurture a ghost? Especially when he's sure she's nothing more than a figment of his overactive guilt complex for letting her and his brother down in the past. A strong psychic, Gabriel Nicholetti of BLIND SIGHT learned a multitude of hard lessons about boundaries at an extremely young age. Pragmatic about his visions, this Pisces doesn't usually have a problem being on the outside. There are times it's better that way, for those whose deaths he sees and for himself. Since he can't save them, getting close only makes their loss harder to take. Until he sees Rily Carrigan, dead on some forest floor. That blonde gets under his skin until he's determined to find a way to save her. The fact he's never saved anyone from his visions before isn't going to stop him from trying. Ramon Ortega started out as a secondary character in both STOLEN SPIRIT and BLIND SIGHT. 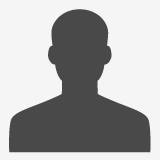 As a Scorpio and a narcotics cop in Portland, OR, Ramon has presence. And a vendetta. He's seen a lot, been through a lot. Lost a lot. With a bruja – witch – for a grandmother, he's also seen a lot of explainable occurrences. While he's sworn vengeance on those responsible for his partner's death, that vengeance comes with a price. How far will he go? How much will he sacrifice? Who else will he lose? Ramon's story, tentatively titled RELUCTANT HEALER, is in the works. I hope you'll look for it. So who are those emotional, watery people in your life? Or do you embody Water? We've discussed FIRE and EARTH, now let's talk about AIR. Air signs (Gemini, Libra and Aquarius) are the mental signs of the Zodiac, the ones who most live in their heads. Abstract thinkers, on the whole, they thrive on ideas and what ifs and plans and … and …. Air signs hate being bored. Despise it. Can’t handle it. So it’s probably good they’re so clever at entertaining themselves. It’s that mental, Air thing. The mind’s always working. And because that mind is always working, they do make great conversationalists. There might not seem to be a lot of depth, especially with a Gemini, but the dialogue won’t be boring and will probably cover a lot of different subjects. And I’d wager a bet they’ll leave the conversation knowing a lot more about you than you realize. They’re sneaky that way. Gemini, the first of the Air signs, is also the Mutable Air sign. Changeable and often times indecisive, they’re adept at seeing both sides of any argument and this makes them difficult to pin down on practically everything. Their heads are in the clouds, flitting from one thought to another. Chasing down that spectacular idea only to abandon it for something more interesting. Gemini thrives on talking, on the exchange of thoughts, on what’s happening in their corner of the world. Need to know what’s going on in the neighborhood? Ask a Gemini. They don’t know strangers. Just don’t ask that Gemini to make a decision. Or rather, to stick to any decision you did get them to make. Changeable, remember? Libra, as Cardinal Air, is the most volatile of the three Air signs, yet Libra is the sign of balance. In almost everything they do, they seek balance. They are the ones most likely to understand design, color, interior decorating, what is appealing and the why of it all. Why. Why. Why. To understand what it is that brings balance. Externally and internally. That is perhaps their biggest secret. Not that they espouse balance or even embrace it, but that in seeking to understand it, they can somehow find it within themselves and be whole. Aquarius, being Fixed Air, is probably the most steadfast of the three air signs. The most stubborn (there’s that Fixed modality again), and at times considered the most genius of the three for their uncanny ability to pluck stuff seemingly out of thin air. Hyper-cognitive, it’s as if their minds are working so fast they can’t completely articulate just how they arrived at their conclusions, but they utterly and unerringly believe in their own accuracy. Did I mention stubborn? Have you ever argued with an Aquarian? In ELSIE'S SECRET, the first novella in the PSI world, Bastian Alexander, a Libra, has been using work as an excuse to short-change his personal life. After all, as a top-secret agent for the PSI, it’s hard to be fully engaged in any kind of relationship. Elsie, on the other hand, fully engaged her heart. And that’s in spite of a secret to rival Bastian’s. She has effectively held up a mirror to show just where he’s lacking in balance. He walked away once. Can he find it in himself to stay, this time? Then we get to Rhys Blackthorne, Aquarius extraordinaire. His story hasn’t been written yet, although he has been introduced in book one of the PSI Sentinel Darkwater Guardian stories, DARKWATER ECHOES. His interests are wide and varied, his mind is nearly always in overdrive and he’s made mental leaps and connections that have stood him well in taking a small pharmaceutical company on the edge of bankruptcy into international waters. Stubborn, he’s done it all without help from a grandfather who would like nothing better than to groom his grandson in his own image to take over his own empire. An empire Rhys wants nothing to do with. Did I mention stubborn? And there's Gemini. At the moment, there aren't any Gemini heroes or heroines in the PSI stories, although there are several secondary ones. Mutable and changeable, they’re interesting, engaging, and fun to write. Without their little nudges, the main characters in their stories would be lost and floundering. I have two favorite Geminis, Amy in STOLEN SPIRIT, and Rosie in DARKWATER ECHOES. Amy is chatty, quick on sympathy and when Jake Carrigan (hero) leaves the medical office where Amy works, she knows more about him than he ever meant for her to know. Rosie, now, she’s a ghost. She’s willed her tiki bar in Key Largo to her granddaughters and the place is still as much a hub for the neighborhood now as it was when Rosie was alive. And Rosie’s still as curious about everyone and everything. 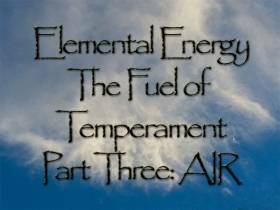 How does AIR manifest in your life? That woman (or man) who's always in the middle of all the drama in the neighborhood, or who knows all the gossip, does she have a strong Gemini influence? Can you tell a Libra from an Aquarian? Are you looking forward to Water? We'll tackle all those emotional signs next! 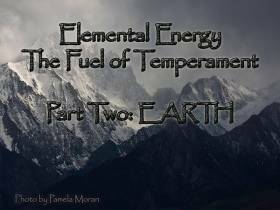 Last week we talked about Fire, this week we're going to explore the element of EARTH. Earth signs (Taurus, Virgo and Capricorn) are the most grounded of all the signs because their element is the earth. The ground. Soil. Earth signs tend to deal with reality, with what they can touch, feel with their hands. What’s real – that is what they consider important, where their focus remains. They can be analytical, practical, and focused, but have trouble understanding emotions. Passions. Those can’t be touched, can’t be held. Earth can struggle to understand those whose passions rule them, who lead with their emotions rather than what’s practical. A secret … when they’re at their most dismissive, most disdainful, is when they’re struggling at the deepest level. When their own fear of being overwhelmed scares them the most. I’m not saying to cut them a break, just that a little understanding of that might go a long way in your own struggle to understand these practical, reality based people. Taurus, the first of the Earth signs, represents the middle of spring, when the Earth is full of promise, of new growth. Steady and true now will provide bounty later. Of course, mix spring rain with dirt and you could end up with mud. As in, stuck-in-the-mud. Taurus, of all the fixed signs, is the guiltiest of being just that. Can you say stubborn? Taurus invented the word. That and Bull-Headed. As with all the Fixed signs, Taurus has a long memory and tends to be unforgiving. But they’re also loyal. And steadfast. Dependable. Virgo, the most mental of the Earth signs, still manages to stay grounded, still has that analytical thing going, checking and rechecking the validity and reality of ideas. Of the practicality. Virgo is the time of harvest, when all that hard work becomes tangible. That time between summer and autumn, when crops are being pulled from the fields, when the ground is giving up her bounty and change is all around. Virgo is Mutable. Changeable. They are usually exceedingly generous, sometimes to a fault. All that analysis, all those comparisons, all that reaping from the Earth, can lead to Virgo feeling as though he or she has given everything to sustain others but hasn’t received much in return. This may or may not be the case, but Virgos are extremely susceptible to that sense of martyrdom and once it takes hold, tend to share that, also. Still, harvest is about bounty. About change. And of all the Earth signs, Virgo is the most equipped to adapt. The most generous and possibly the most compassionate. Capricorn, the last of the both the Earth and the Cardinal signs, ushers in winter. Fallow, the Earth pauses. As practical as Taurus and as analytical as Virgo, Capricorn tends to take it all a step further. Plans for the new growing season need to be made, new mountains need to be climbed. Scaled. Conquered. And that’s how Caps tend to see life, as a series of goals to be challenged and successfully met. Then on to the next. With Earth as their Element, Capricorns may be slower and more steadfast than their Cardinal Cousins, but movement is still key. If they mow you over along the way, maybe you should have moved to the side. Gotten out of the way. It’s not that they feel no remorse or that they don’t care, they do. But they can’t let themselves be sidetracked. There’s a lot of planning to be done, a lot to be accomplished, fertile ground to be tilled, before those new seeds can sprout from the ground. Book One of The PSI Sentinels, STOLEN SPIRIT, opens in late April, on Hannah Dixon's birthday. A Taurean, Hannah has always dealt with the world around her through touch. She has always believed what she feels through her fingertips over what she sees with her eyes. As a fairly successful jewelry designer, she loved to incorporate stones and gems (that EARTH element) into her designs. So what happens when she wakes up one morning to discover months have passed while she slept and she can no longer touch anything? Worse, she can't be touched either. She many as well not exist. In GAVIN'S WOMAN, Calea Fontaine is a Virgo. Grounded, she sometimes wonders if she thinks too much, if she over analyzes things to the point of driving herself nuts. She loves Gavin, but he pushed their relationship aside and she needs time to recoup. Looking for a sanctuary, she heads to the Oregon coast. But a part of her knew he'd follow. Knew he couldn't stay away. Now she worries her bout of self-pity will end up getting them both killed. Gavin Dunbar, on the other hand, is a Capricorn. As the Liaison between the PSI agency and the government, Gavin is a natural leader. Practical and self-contained, he has an agenda and expects others to fall in line or get out of his way. He doesn't trust his feelings for Calea and has locked them up tight in a box marked 'do not open'. Frustration sets in as she's increasing important to him and in essence becomes his touchstone. He shouldn't need her. Shouldn't feel this way. But all that becomes immaterial when she's threatened by a man whose obsession knows no bounds. Are there a lot of EARTH people in your life? Are you an Earth sign? 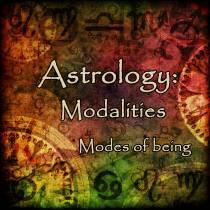 Last time we talked about Modality: Cardinal, Fixed, Mutable. 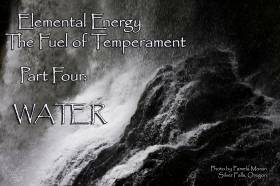 Now, over the next four posts, we're going to take that a step further and discuss the four types of energy fueling those modes: Fire, Earth, Air and Water. Fire signs (Aries, Leo and Sagittarius) are, at their hearts, spontaneous, impulsive and, yes, fiery. These people are passionate and enthusiastic with healthy egos. That’s not to say you won’t come across a Fire person lacking self-esteem. Of course that happens. However, there must be something drastic in this person’s background to have ground his/her ego into the soil because with fiery people, and there’s no easy way to say it, the world revolves around them. They make no excuse for it and see nothing wrong with it. At all. Writing that makes me smile because it’s an attitude I admire. If we’re not okay with ourselves, how are we going to be okay with the rest of the world? Fire is a combustive fuel, it can be a beautiful thing to witness although sometimes preferably from a safe distance. Other times, Fire is all consuming, scary and occasionally ugly, especially in its aftermath. Have you ever witnessed the scorched earth after a wildfire? The remnants of house burnt to the ground? Aries has a quick temper, fast to ignite. They’re the most impulsive, they catch that spark and away they go. Aries is Cardinal, the first sign, the one who starts the Zodiac. The beginning. First. Fast. Fast to burst into flames, fast to burn, fast to burn out. On the upside of that fastness, they’re also quick to forgive. To forget. There's too much else out there to capture their attention to dwell on the past. The downside, try nailing them to the ground. They’re already off, starting something else and aren't waiting around to see if you can keep up. Leo is the most loyal of all the Fire signs. Fixed modality, solid and true, they’ll usually stick beside you through thick and thin. A slow and steady burn, that’s Leo. Think warm, crackling flames in the fireplace. Contained. Relatively safe – we are talking about Fire. Being fixed, however, Leos are also the most stubborn. And the most unforgiving. That Fixed modality again. Long memories. Leos thrive when at the center of a family type group. Lion Pride is very real for most Leos. Sagittarius lives in the world of ideas, of philosophies to get excited and passionate over. There may be no one else more capable of igniting others with the passion of Sag’s ideas or ideals. To have people follow because they've been caught by that glow of idealism, of excitement, so close to the surface of every Sagittarian. However, being Mutable, Sag can get ensnared in a tendency to let another glow-flit capture their attention because they’re highly susceptible to the risk of being pulled in a different direction, leaving their previous passions as nothing more than smoldering embers. Still, try to resist a Sag’s powerful, fiery pull when they’re in the throes of expounding on their latest aspiration or ideal. Or resist tagging along with them on their latest adventure when they've invited you along. As a writer, one of the wonderful things about Astrology is utilizing the ready-made Archetypes for a jumping off point in character building. In the PSI world, we have Ben Garrett, head of the Institute for Psychic Studies but also the leader of the PSI Sentinels. A definite Alpha in his own right, he was forced in the past into a lone wolf position. Those reasons are touched on in BLIND SIGHT, but as a Leo, Ben isn't happy without family. So he’s essentially made his own with the PSI men and women he has mentored over the years. I know he’s a Leo and from there I have a better understanding of his reactions to people, to events and situations. That’s not to say he hasn't surprised me a few times. Loyal and steadfast, he has an exceptionally long memory and an unerring sense of what is right, what rules he’s willing to bend and what is completely unacceptable. He won’t tolerate anyone threatening his people. Rily Carrigan, the heroine in BLIND SIGHT (and sister to the hero in STOLEN SPIRIT), is an Aries. Hot temper, quick to flare, but just as quick to forgive. Constantly on the move, she’s a pleasure to watch, just ask Gabe. ;o) She’s impulsive and has absolutely no desire to dwell on the past. Of course, that’s what she’s forced to do when an old friend is found dead and the key to her death may be locked in their shared background. My Sag character, at least for now, is only a secondary character who hasn't actually made it to the page yet. He’s rich, owns his own island in the British Virgin Islands (not too big – doesn't want to be too flashy), and his interest in the PSI goes several years back to Gabe Nicholetti (hero in BLIND SIGHT) bringing the gang who kidnapped and murdered his sister to justice. Mr. Sag will find his way to the page soon. 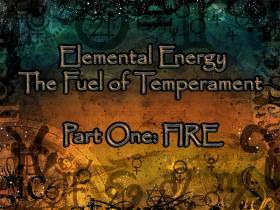 Are you a Fire sign or do you have someone in your life who embodies the Fire element? Join me next week when we talk about the next element, Earth. 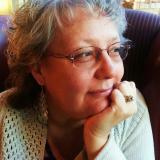 Astrology, one of my great passions and of all the As I’d like to include in the ABCs of the Psychic Realm is one of the hardest for me to blog about – probably because the subject is so vast and can be overwhelming. It’s kept me staring at my screen for these last several weeks, scratching my head, wondering where to start! That said, let’s dig in! I’d venture to say most people know their Sun Sign and even understand the core of the archetype associated with their Sun. If you’re an Aries, you know you’re supposed to be fiery, impulsive and impatient, that you’re a great initiator, but not all that great at follow-up or follow-through. As a Cancer, you might be known for your moodiness, your love of Mom and family, and possibly the fact you’re, at your heart, a nurturer, liking to take care of people, to feed them. You can be an excellent self-starter, maybe a bit lousy on the follow-through. Then there are Libra and Capricorn. Libras can live for beauty, for one-on-one relationships. With an eye for design, you can make an inspiring interior decorator, that person who knows instinctively what looks right and what doesn’t. With a wealth of great ideas, you’re good at getting things going, maybe not so good at completing them. Capricorn is the most ambitious of all the signs and you’re driven to achieve, it’s at the root of your nature. You’re earthy, fairly direct and decisive, maybe a little arrogant and impatient, but you know what you want, what your vision is although sticking through to the end might take more focus than you realized when you started down that path. On the surface, as archetypes, these four people are completely different. However, they do share some common characteristics. All four are notorious self-starters and all four are lacking in the follow-through department. This commonality between the four is due to a common Modality. In the Astrological world, there are three modes of being: Cardinal, Fixed, and Mutable. CARDINAL signs (Aries, Cancer, Libra, and Capricorn) represent the start of each of the four seasons. They represent beginnings and the power of initiation. This is where that common ‘self-starting’ ability kicks in. Aries ushers in spring, that shiny brand new cycle of the seasonal year. They’re first in all things, impatient, aggressive with a bright, full spark inside that makes it seem anything is possible. Cancer marks the advent of summer, with the promise of warm, long days stretching out in front of us. These are the nurturers of the Zodiac, representing motherhood and the first nurturing we find. Libra brings autumn forward and marks the halfway point of the seasonal year. Libras are all about one-on-one relationships, about beauty and, again, relating. Capricorn, the last of the Cardinal signs, marshals in winter. The most ambitious, Capricorn is best at initiating practical applications in regards to business and real-world applications. FIXED signs (Taurus, Leo, Scorpio, and Aquarius) are found in the middle of each season. They’re stable, sustaining, and are representative of the season where they’re found. Taurus is spring in full bloom. Packed with beauty, they can be stubborn and inflexible but are also reliable. Leo is summer bursting at its seams. They’re loyal, dedicated and just as prone as the other fixed signs to digging in and not budging. Scorpio is autumn at its height. Determined, they’re persistent with a marked fixity of purpose. Aquarius is during that time when winter has a firm hold on the land, during the deepest cold. Aquarians can be quite logical, objective, and extremely hard-headed. MUTABLE signs (Gemini, Virgo, Sagittarius, and Pisces) transition between seasons. They’re the endings that make way for new beginnings, and their power lies is all about change. Mutable people are adaptable, flexible and going with the flow is part of who they are, they can see all sides of a situation and can have a hard time coming to a decision which might leave them appearing wishy-washy. Gemini ends spring and welcomes summer. They have a mental agility that gives them an ability to grasp new ideas without blinking an eye. Virgo bridges that time between summer and fall with an aptitude for pinpointing the authenticity of a situation while still seeing all sides. They strive to serve where they see a need. Sagittarius transits that time between fall into winter and, with their bend toward philosophy, are excellent at seeing the bigger picture and inspiring others. Pisces, the last sign of the Zodiac, represents the end of the seasonal cycle, when winter is closing and a new cycle – a new spring – is about to begin. Those born during this time can be emotionally sensitive, often able to feel other’s feelings to the point they have a hard time discerning their own emotions from those around them. Cardinal, Fixed or Mutable - what’s your sun sign’s modality? Does the archetype fit who you are at your core?